Adds nicely to the calendar. orange doesn't come more orange than an orange! I think you have part peeled an orange here - which is a much more sensible idea than taking a tomato and making it orange. Creates a kind of sunburst of orange. 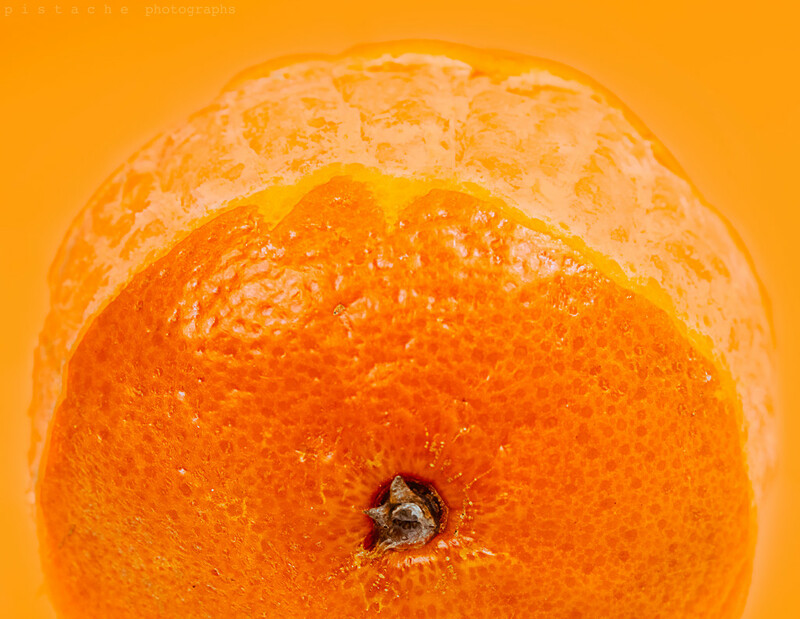 That is a really creative way of photographing the orange- partly peeled but from above!